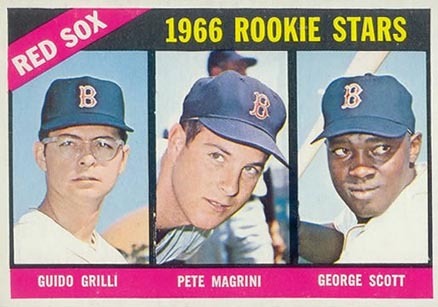 Several members of the Red Sox all-time roster were born on today’s date, however none of them became household names. 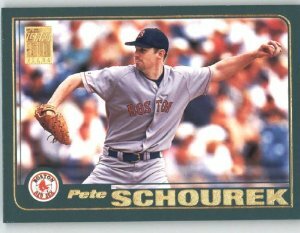 Of all the former Boston players born on today’s date, a former left-handed starting pitcher by the name of Pete Schourek, saw the most action for the Red Sox. Cincinnati proved much more to his liking. He had his career year there in 1995, going 18-7 with a 3.22 ERA and finishing second to Greg Maddux in that year’s Cy Young Award voting. He never got close to those numbers again, probably because he continued to suffer arm ailments, which required three more surgeries. The Red Sox got him a first time during the 1998 season, when they purchased his contract from the Astros. Schourek went just 1-3 in eight starts down the stretch for manager, Jimy Williams ball club and was granted free agency at seasons’ end. He then pitched for the Pirates in 1999 before returning to Boston in 2000 and going 3-10 with a 5.11 ERA in 21 more starts under Williams. You’d think with those stats, his career as a Red Sox was over but Williams brought him back the following spring and he spent his last half season as a big leaguer pitching out of Boston’s bullpen in 2001. His career record in the Majors was 66-77. Long before Rocky Marciano left the streets of Brockton, Massachusetts to win the heavyweight boxing championship of the world, another native of that town showed such promising pugilistic talent that folks thought he too might become a world champion in the ring. But Buck O’Brien could do more than just knock out people with his fists. He was also a gifted tenor who made a good living as a professional singer in and around his home town. O’Brien could also throw a heck of a spitball. The right-hander didn’t play professionally at first. He learned to throw the wet one while pitching for local factory-sponsored teams. In fact, he didn’t sign his first pro contract until 1909, when he was already 27-years-old. After he won 64 games during his first three seasons of minor league ball, the Red Sox signed him in September of 1911. O’Brien then wowed everyone in Beantown by going 5-1 with a 0.38 ERA for Boston during the final month of that season. That great final month proved to be a harbinger of good things to come in 1912. All O’Brien did was go 20-13 to help lead one of the great Red Sox teams of all time to a 105-47 first place finish in the American League. That team’s best pitcher was a young right-hander named Joe Wood, who was nicknamed Smokey. It was said at the time that Wood threw a baseball faster than any man alive. The great Ty Cobb told sportswriters that Wood’s fastball and O’Brien’s spitter were two of the toughest pitches for him to hit. Unfortunately the two Red sox pitchers pretty much hated each other. Their mutual animosity came to a head during Game 5 of that year’s World Series against the Giants. 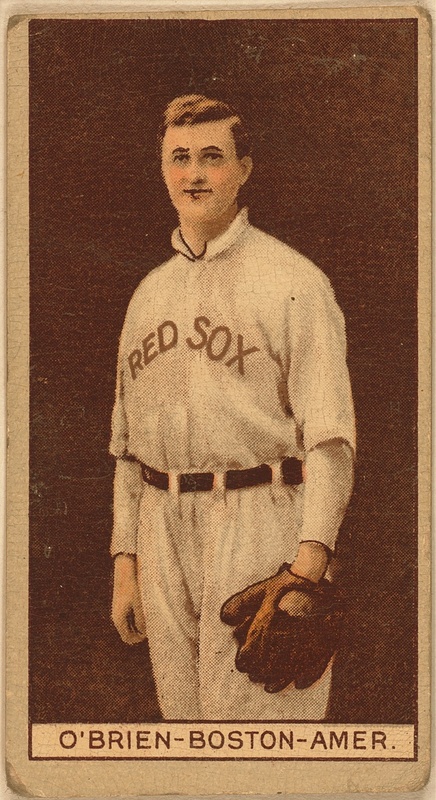 Boston manager Jake Stahl surprised everyone by starting O’Brien, who had lost a close contest in Game 2 instead of Wood, who had won the Series opener with a gem of a game. O’Brien himself may have been most shocked to get the ball. Fully expecting to have the day off, the pitcher had partied hard the night before and showed up for Game 5 with a terrific hangover. The Giants loaded the bases against O’Brien in the first inning and then he balked in a run. Before the inning was over, he had allowed five runs. On the train ride back to Boston for Game 6, Wood told O’Brien he had given Game 5 away and the two went at it, not just on the train right there and then but again the next day as well. Whatever the reason, after that balk and his fisticuffs with Wood, O’Brien was never again an effective big league pitcher. When he struggled to a 4-9 start the following season, Boston sold him to the White Sox for $5,000. He went 0-2 for Chicago and then never again pitched in another big league game. He died in 1959, at the age of 77. 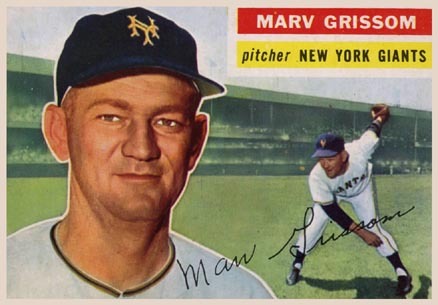 Those few New York Giants’ fans still around who actually saw the World Champion 1954 team play will tell you that Leo Durocher’s ball club might not have won the pennant without their ace closer, Marv Grissom. 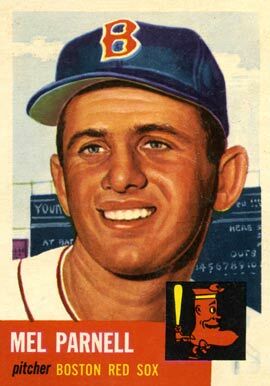 The California-born right-hander went 10-7 that year with 19 saves, made the NL All Star team and was also the winning pitcher in the first game of the Giants’ four-game sweep versus the Indians in the ’54 World Series. Not bad for a guy who was put on waivers by the Red Sox a year earlier. Grissom was one of the thousands of young ballplayers who had promising careers derailed by service in WWII. His much-older brother Lee had been a big league pitcher during the thirties and it looked as if Marv was about to join him, when the attack at Pearl Harbor happened. 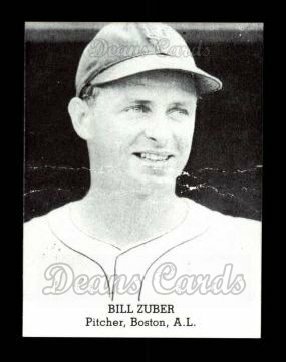 He ended up spending the next four years assisting in a military operating room and by the time he got back to baseball in 1946, he was already 28-years-old. 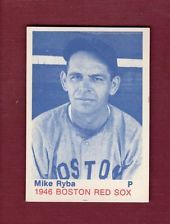 He made a brief big league debut as a Giant in 1946 and then spent the next six seasons bouncing up and down between the Majors and Minors. He finally stuck with the White Sox as a member of their 1952 starting rotation and went 12-10 that year. That’s when the Red Sox got him along with pitchers Hector Skinny Brown and Bill Kennedy for their then-over-the-hill shortstop, Vern Stephens. Grissom was inserted into Boston’s rotation during the second month of the ’53 season and in 11 starts he went 2-6 with a 4.60 ERA. That’s what got him put on the waiver wire at the all-star break and led to his signing by the Giants. Though had turned 36-years-old just before his outstanding ’54 season started, Grissom continued pitching well out of the Giants’ bullpen for the next four seasons and was on hand when the team relocated to Grissom’s native California, after the 1957 season. He retired after the 1959 season and died in 2005 at the age of 87.